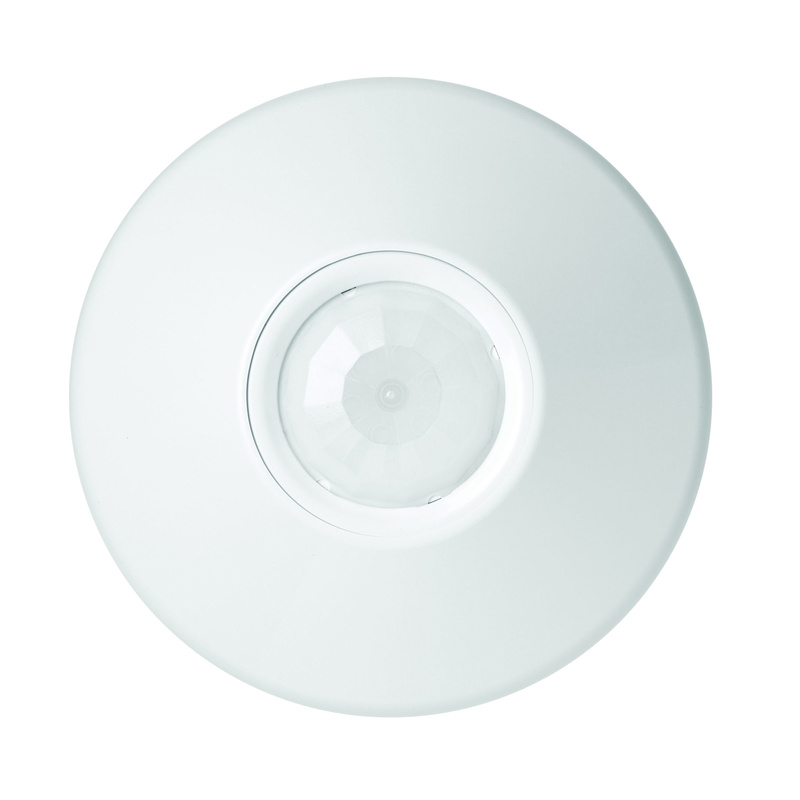 Lithonia Lighting Sensor Switch™ CM Series Occupancy sensor in white color, offers a wide range of sensor solutions for finished ceiling applications. The indoor sensor incorporates dual technology they are PIR and Microphonics™. It provides up to 12-ft radial coverage when mounted to standard ceiling and supports 360-Degree viewing angle. The sensor in matte finish, has a voltage rating of 12 to 24-Volts AC/DC. This low voltage sensor has programmable push button, adjustable time delays and multiple operating modes for better functionality. It is suitable for automotive and parking, education, government, healthcare, hospitality, manufacturing, offices and banks, power and gas, religious, residential, retail, roadways, bridges and tunnels, sports and recreation, transportation and warehouses applications. The occupancy sensor meets cULus and RoHS standards.